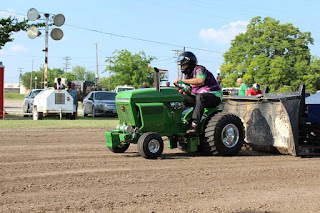 The Lone Star Garden Tractor Pullers Association teams celebrated the end of the 2018 pulling season, with the crowning of class champions in each pulling category. The seven event season saw close races for class titles, in each of the eleven contested tractor classes. The largest class of the season, and one of the most popular categories, would be the Youth Class. Competitors up to the age of fourteen, compete aboard single cylinder machines weighing in at 1000 pounds. 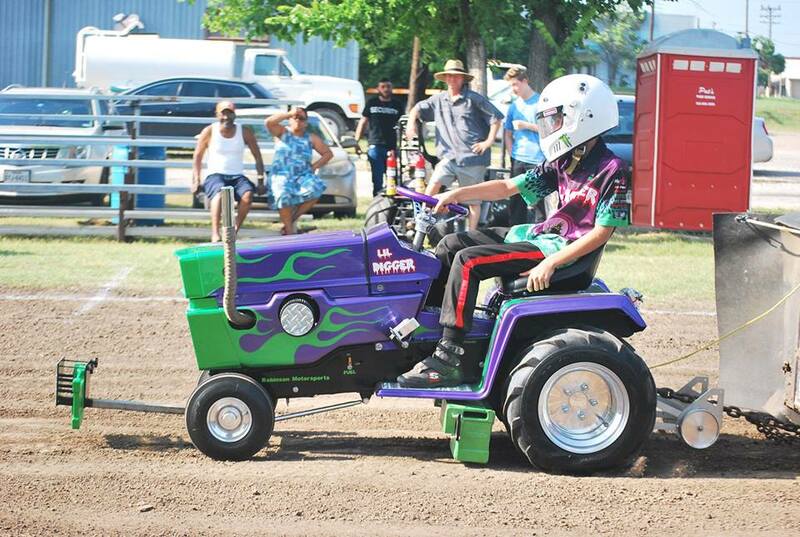 Tatom Robinson would earn the class title, aboard his 'Lil Digger' tractor. Robinson would use a strong start and consistent performances to maintain a lead over Lane Duncan, who would finish second aboard his 'Texas T-Rex' tractor. 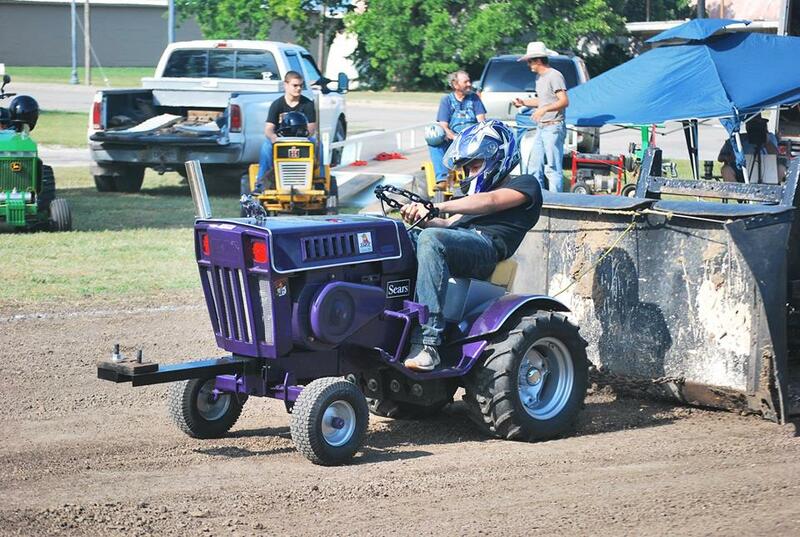 Jared Stephan would finish in the top three, aboard his 'Iron Head' machine. 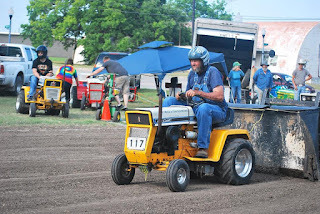 Stock Class would be a close contest, with Claude Lewis using four wins on the season, aboard his 'Ol Yeller' tractor, to take the class title. Lewis would finish just one point in front of Kody Langham, at the final event of the season to earn the crown. In Hot Stock, Madison Pellerin would pull to a dominating performance in the class, taking the championship with a five win season. Pellerin would lead start to finish, over John Aufdenkamp and Kody Langham, to pace the top three in the class. 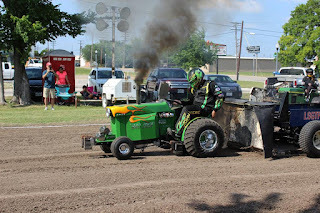 Stock Diesel would see a come from behind victory for Jeff Robinson, winning the final event and taking a two point margin of victory to the class championship. 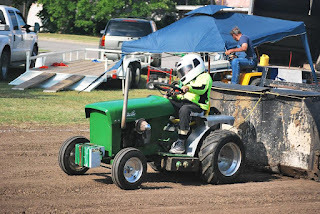 Robinson would battle Patrick Bramlett, who would finish in the runnerup position aboard his 'Warthog' military themed tractor. The Big Stock Class would see a great start to the season by Jerry Toland, aboard his 'Triple Deuce' tractor, winning three of the first four events. Toland would maintain the lead to the class championship, over the second place finish of Gary Bramlett aboard his 'A-Muck- entry. Stock Altered and Super Stock Class would see a double up, with the Colorado pulling team entries of Ralph Lauffer taking wins at the very first event, and leading the class from start to finish for the championship in each category. In Motorcycle Class competition, Jeff Van Beber would use three wins early in the season, to secure his class title. In Outlaw Class competition, Aidan Hovind would use a strong middle of the season performance, to come from behind and take the class title over Jeff Van Beber. Hovind would finish strong, taking the win in three of the last four events, to secure his come from behind victory in the class, aboard his 'Spike' John Deere entry. 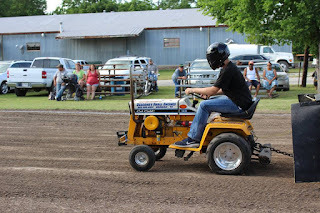 In the highly competitive Mini Rod Class, Colby Crowe would pilot his 'Weekend Warrior' tractor to a three win season, taking the championship crown by two points. 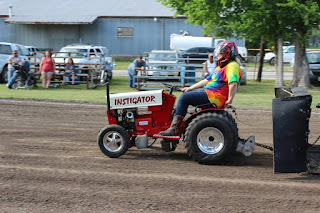 Sarah Crowe would finish in the runnerup spot, aboard her '99% Moody' tractor. 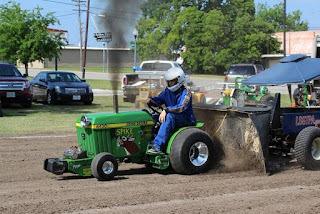 In the wild Super Rod Class tractor category, a year long battle between the Longhorn Express Pulling Team entries would see the team finishing one and two in the class. 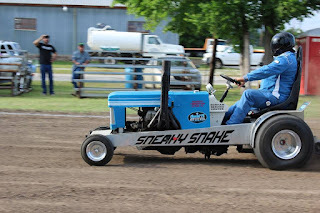 Ken Langham, Sr. would pilot his 'Psycho' tractor to a four win season, just enough to claim the class title over Ken Langham, Jr. aboard his 'Sneaky Snake' tractor. 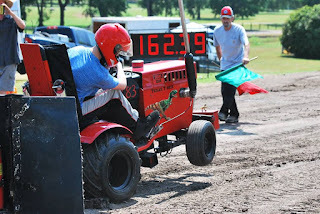 The LSGTPA pulling teams will be preparing for the 2019 season over the winter months, with the 2019 schedule to be announced in early spring ! Stay tuned for off season updates and rumors, as the 2019 season begins to shape up ! The Lone Star Garden Tractor Pulling Teams conducted the second event of the year, as a feature of the Hunt County Fair in Greenville, Texas. Alongside the main stage and midway, the LSGTPA teams would compete on a 200' track, prepared by Crawford-Smith of Greenville. 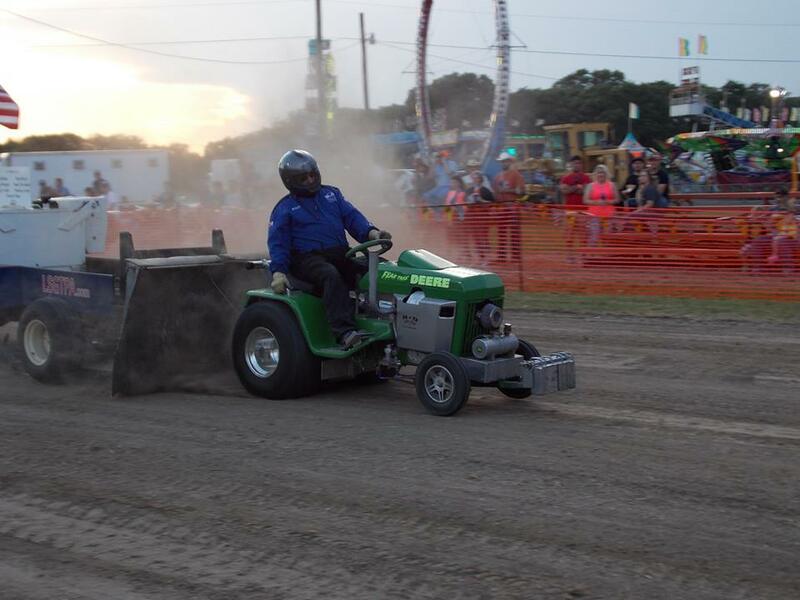 A great crowd packed the stands and enjoyed two rounds of LSGTPA tractor pulling under the lights, on the opening weekend of the fair. Opening ceremonies would feature an outstanding National Anthem performance by Bailey Melvin, of the Texas A&M Commerce Grand Chorus. 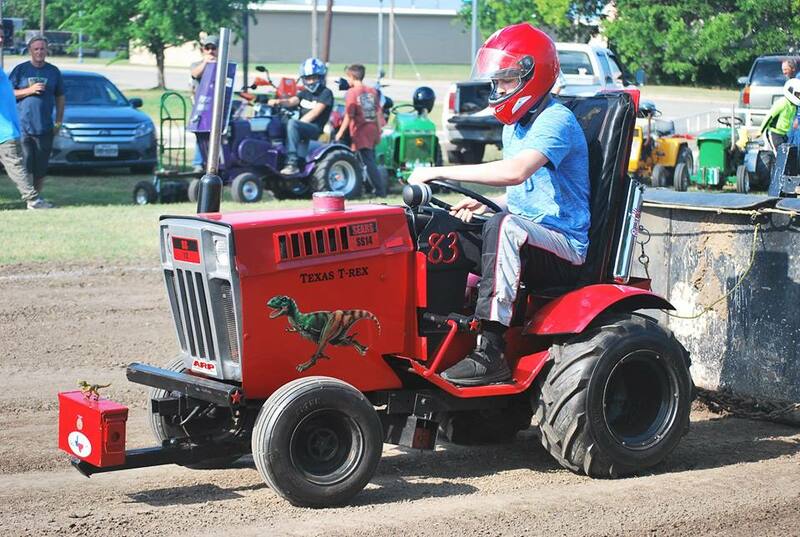 The LSGTPA Youth Class teams would take to the track first, with Lane Duncan taking the class title aboard his 'Texas T-Rex' tractor. 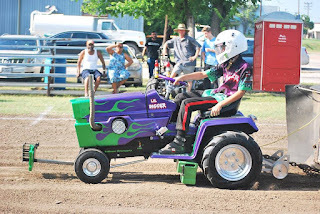 Tatom Robinson would post a runnerup finish, aboard his 'Lil Digger' machine, for the Robinson Motorsports Team. Jared Stephan would post a third place finish, to place his 'Iron Head' tractor on the podium for the Moody Pulling Team. Kaden Wilbur would score a fourth place finish in the class. 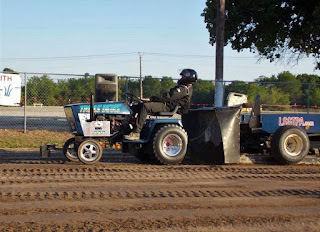 Lane Duncan would steer his 'Twisted Kitty' tractor to a top five finish, with Seth Wilbur posting a six place run in the field. In Stock Class, Claude Lewis would post two Full Pulls to take the crown, with Kody Langham finishing in the runnerup position, in a very close battle. 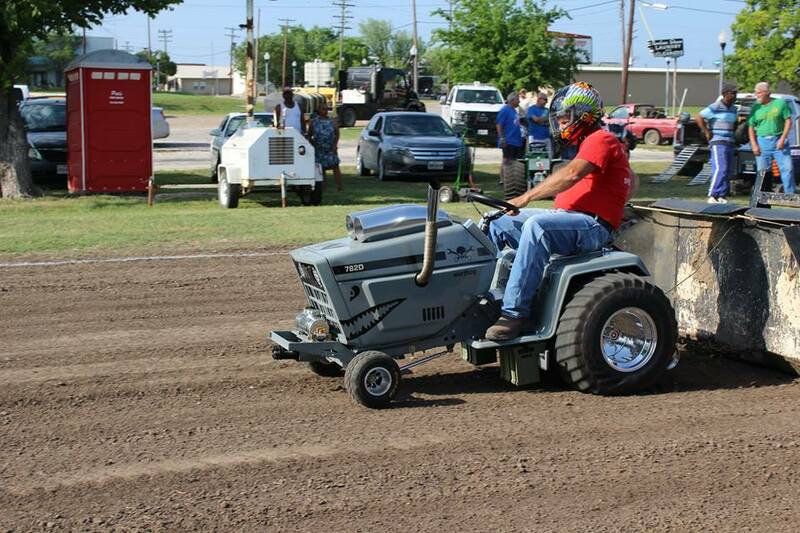 In Hot Stock Class, John Aufdenkamp would pilot his 'Rusteze' machine into the top spot. 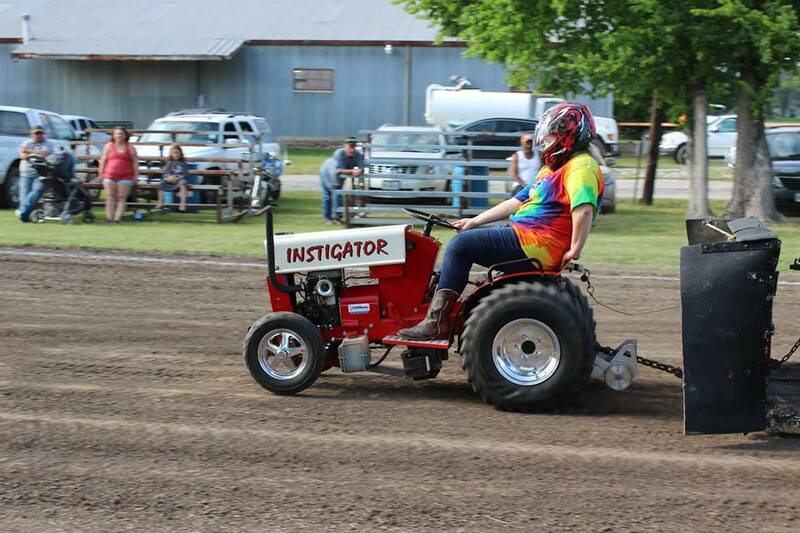 Maddison Pellerin would drive her 'Instigator' tractor, into the second place position, in another close battle. 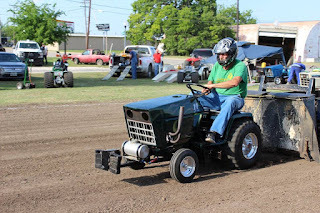 Stock Diesel Class would continue to display close competition, with Patrick Bramlett clearing the competition aboard his 'Warthog' tractor. 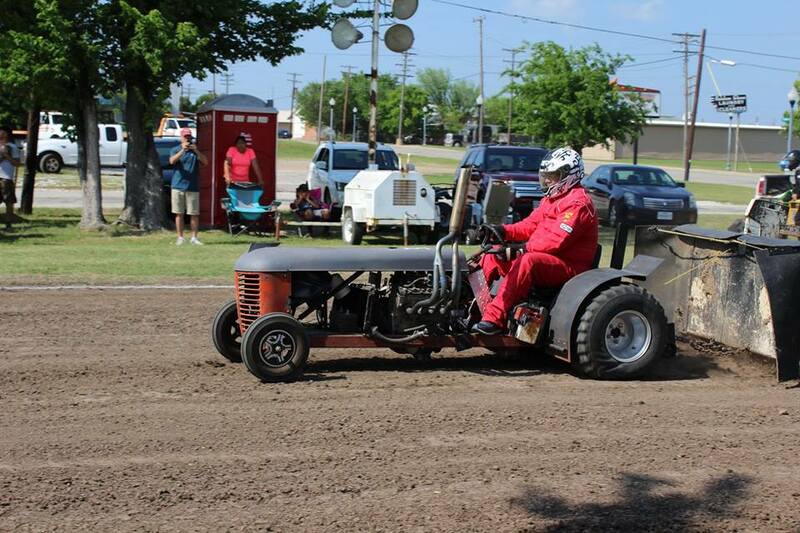 Ken Langham, Jr. would score the runnerup post, aboard his Longhorn Express Pulling Team entry. Jeff Robinson would take the third place podium position, rounding out the top three diesel burning entries. Big Stock Class competition would see Jerry Toland taking the top spot, piloting his 'Triple Deuce' entry to the win. 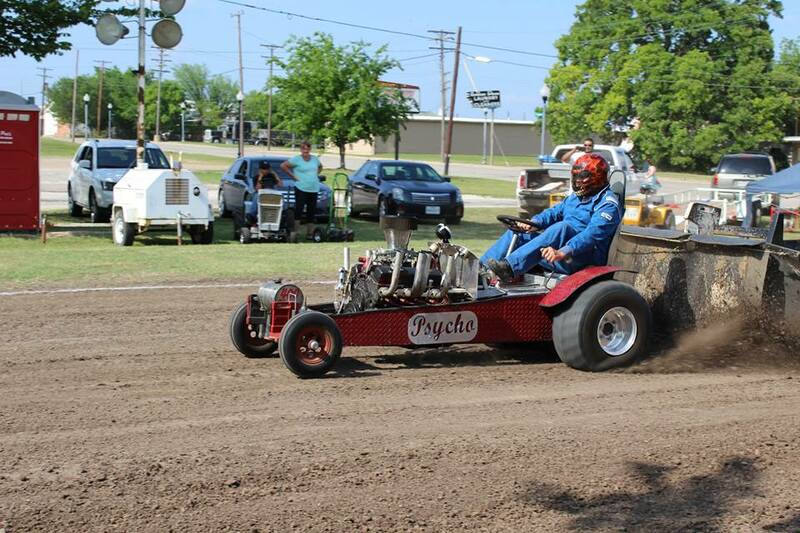 Kody Langham would post a runnerup finish, wheeling his 'Texas Thunder' machine to two great passes for the Bonham Service Center team. 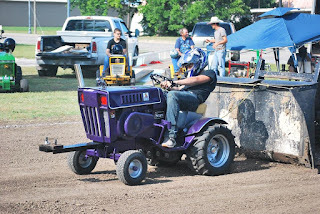 John Aufdenkamp would take the third place podium position, aboard his Outlaw Pulling Team entry. Gary Bramlett would wheel his 'A Muck' tractor into fourth place, with Tyler Van Beber rolling to a top five finish for the TyMak Pullers Team. Stock Altered Class would crown Mark Van Beber as class champion for the event, wheeling his Colorado entry into the top spot. John Aufdenkamp would post a runnerup finish, aboard his 'Under The Influence' machine. Ralph Lauffer would score a third place finish on the night. In Motorcycle Class, Tyler Van Beber would take the top spot, aboard his wild Case entry. In Outlaw Class, Jeff Van Beber would score the win, aboard his Colorado based entry. 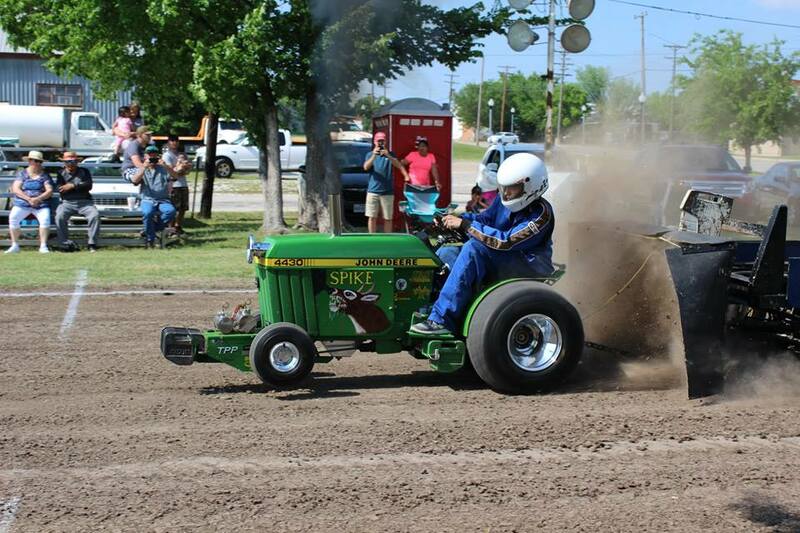 Aidan Hovind would post a runnerup finish, with two great runs aboard his new 'Spike', John Deere entry. Super Stock Class would see Ralph Lauffer of Colorado, atop the leader board. The Mini Rod Class entertained the crowd with a great show and close competition. 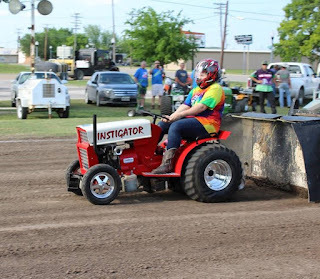 Sarah Crowe would wheel her turbocharged diesel entry, into the top spot for the Moody Pulling Team. Jerry Toland would use an opening round Full Pull to anchor his position in second place, aboard his 'Shinin Time' tractor. 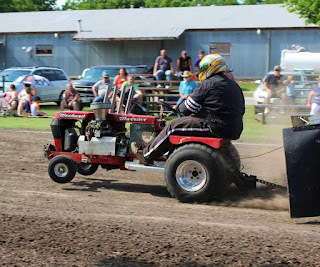 Colby Crowe would wheel his 'Weekend Warrior' tractor, to a couple of great passes and a third place scoring. David Houchen would earn a fourth place finish, aboard his 'Back In The Day' tractor. The Super Rod Class tractors would close the show in wild fashion, with Ken Langham Sr. scoring his second victory of the season, with a win aboard his 'Psycho' tractor. 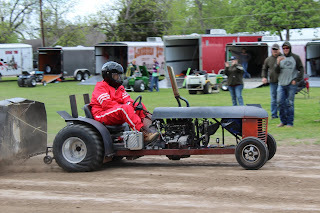 John Kiemele would post a great runnerup finish, with two great runs aboard his 'Dodge This' machine. 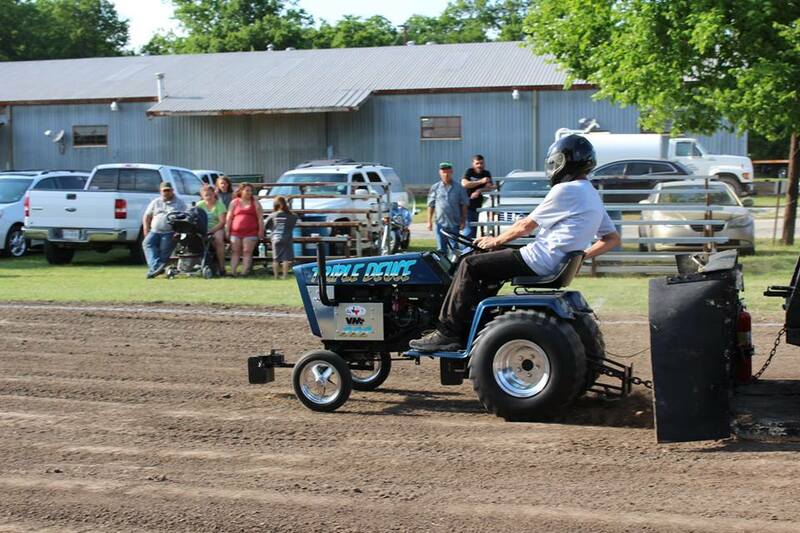 Randell Moody would place his 'Ridge Runner' tractor on the podium, securing a third place finish for the night. 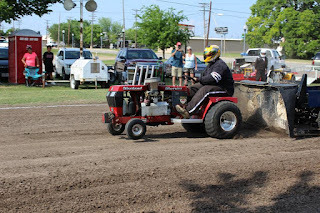 Ken Langham Jr. at the wheel of his 'Sneaky Snake' tractor, would score a fourth place finish for the Longhorn Express Pulling Team. Stetson Bowerman would post a top five finish, aboard his new generation LS Chevrolet powered tractor. A scheduled Saturday night pull was cancelled due to rain, at the Hunt County Fair. 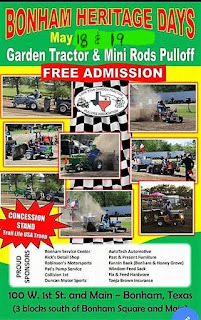 LSGTPA teams will next compete in Bonham, Texas, during the Bonham Heritage Days events on Saturday May 5th. 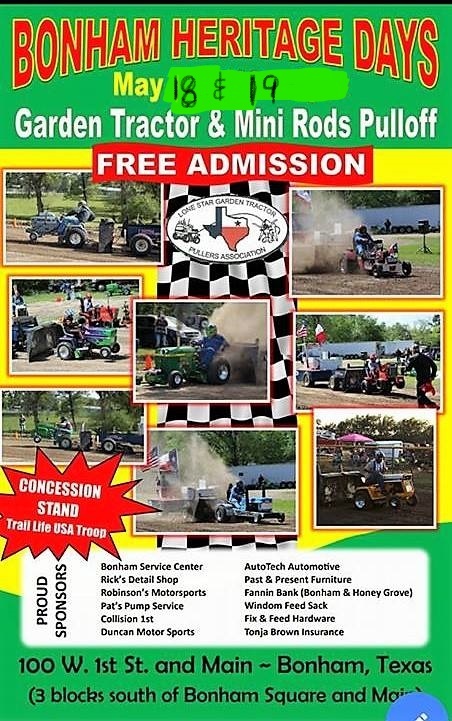 The event will take place at the Powder Creek Park Pulling Track, across from the historic Bonham Depot. 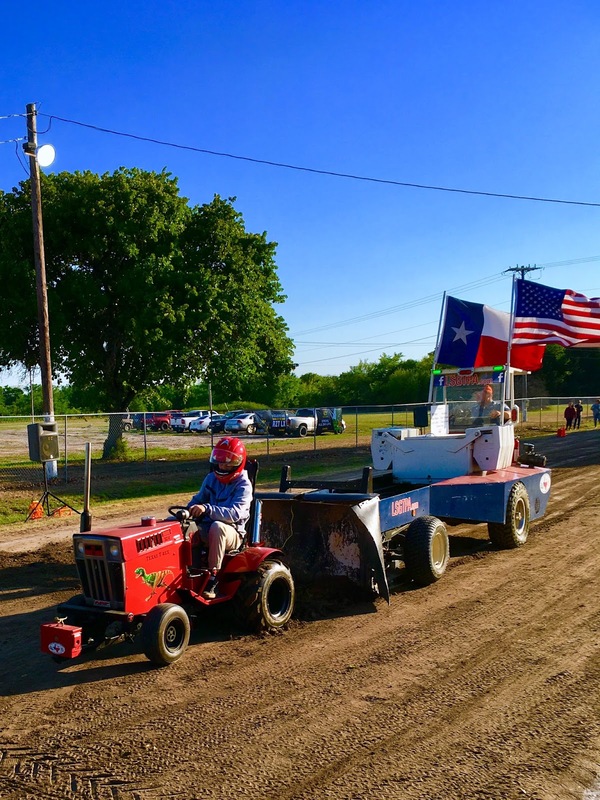 The 2018 LSGTPA tractor pulling season is off to a roaring start, after the Season Opener event held in Cooper, Texas. 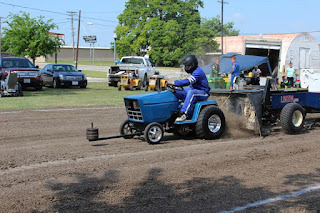 As a feature of the Delta County Fair & Junior Livestock Show, the event would host pulling teams from across Texas and surrounding states, in two rounds of LSGTPA pulling competition. 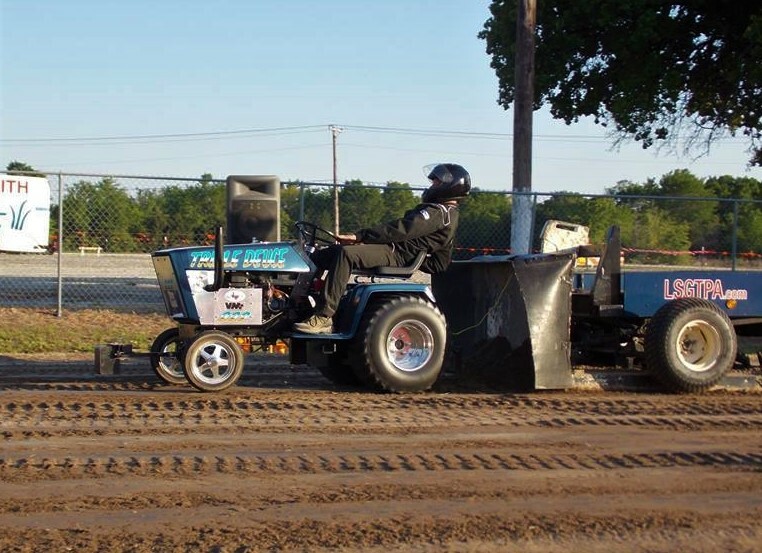 A very well prepared track was provided by Rocky Young and RY Construction, and fans would brave cool temperatures to enjoy the action. Opening ceremonies would feature an outstanding National Anthem performance by area talent Kristi Oats. The LSGTPA Youth Class competitors would take to the 200' track first, with Tatom Robinson taking the win aboard his 'Lil Digger' machine. 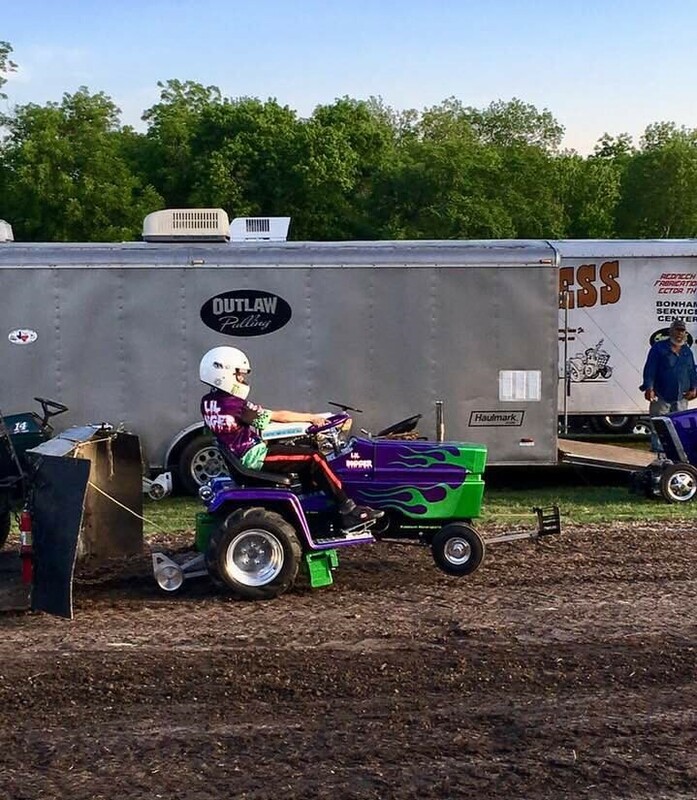 Kayden and Seth Wilbur would share driving duties aboard their newly painted Sears Suburban, taking second and third place positions. 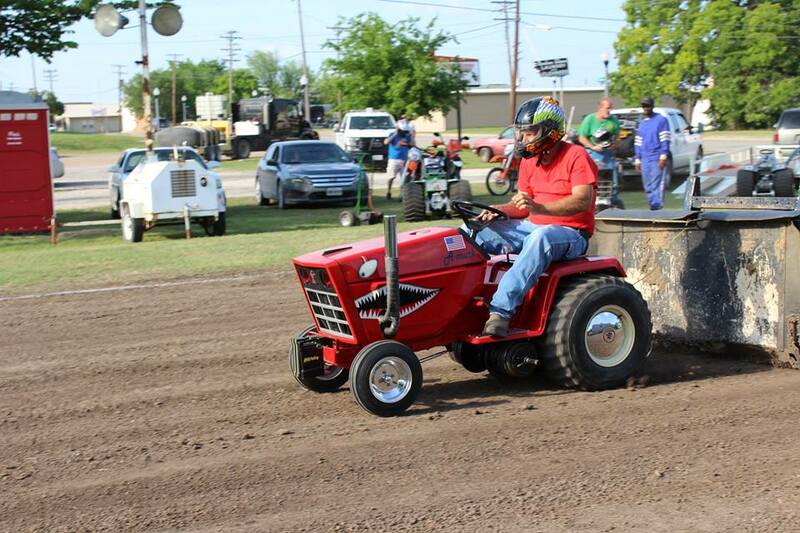 Lane Duncan would pilot his 'Texas T-Rex' tractor to a fourth place finish, and would place his 'Twisted Kitty' tractor in fifth, after suffering some new clutch issues aboard both machines. In Stock Class action, Claude Lewis would take the win in a close battle. Kody Langham would pilot his Longhorn Express Pulling Team machine to the runnerup spot. In Hot Stock Class, Madison Pellerin would take the crown, piloting her 'Instigator' tractor to the victory. In Stock Diesel Class, Patrick Bramlett would pilot his 'Warthog' tractor into the top spot in the class. Jeff Robinson would debut his newly acquired diesel entry, scoring a runnerup finish in the event, just feet behind the winner. In Big Stock Class competition, Jerry Toland would claim the stop spot aboard his 'Triple Deuce' tractor. 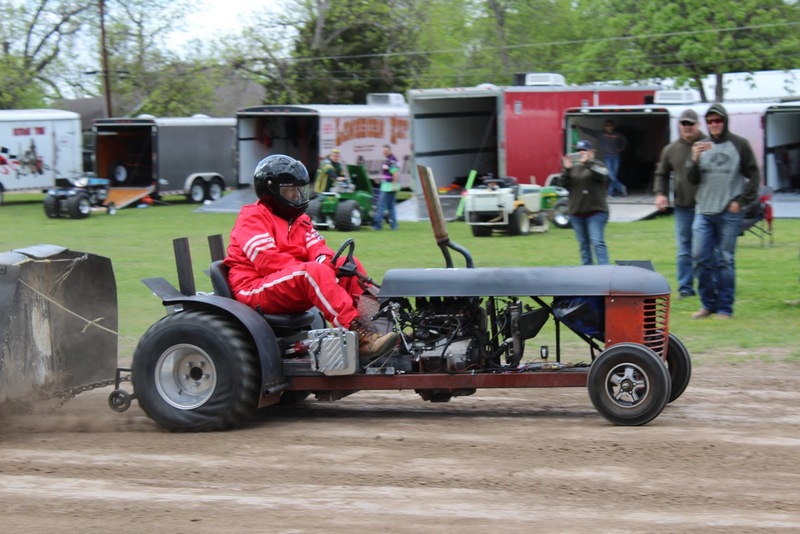 Patrick Bramlett would run his 'A Muck' tractor to a runnerup posting, with Kody Langham steering his way into the third place aboard his 'Texas Thunder' entry. Tyler Van Beber would score a fourth place finish in the class. The Stock Altered class title would be taken by Ralph Lauffer, making the haul from Greeley, Colorado to take the win. Lauffer would also claim the top spot in the Super Stock Class, aboard his high winding, alcohol burning machines. 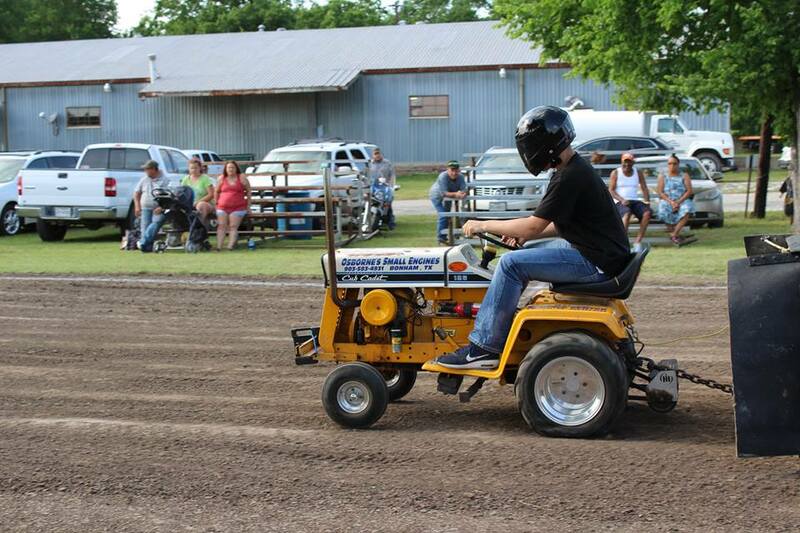 In Motorcycle Class competition, Tyler Van Beber would power his Case bodied entry into the top spot. 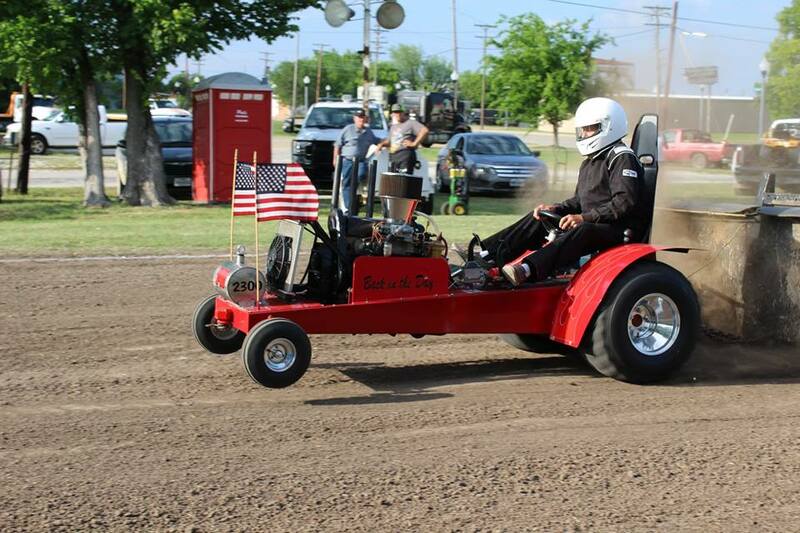 In Outlaw Class competition, Steve Hovind would debut his new 'Spike' entry, and would take the top honors with his turbocharged diesel powered machine. Jeff Van Beber would pilot his Colorado entry into the runnerup spot. Ralph Lauffer would post a podium finish, scoring third place on the day. In Mini Rod Class, David Houchen would score the victory, aboard his 'Back In The Day' tractor. Jerry Toland would take a wild ride out of bounds, aboard his 'Shinin Time' machine, limiting his scoring to a runnerup finish in the wild and entertaining class. 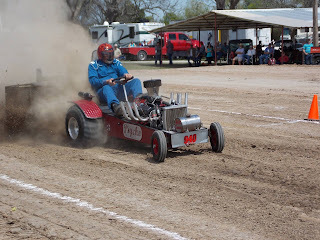 In Super Rod, the wild runs would continue on the biting track, with Ken Langham Sr. posting a Full Pull to close the show and take the victory aboard his 'Psycho' tractor. Ken Langham Jr. would post a Full Pull aboard his 'Sneaky Snake' machine, to post a runnerup finish aboard his Ford powered tractor, and secure a one-two finish for the Longhorn Express Pulling Team out of Bonham. John Kiemele would finish on the podium with two great runs, aboard his beautiful 'Dodge This' machine, taking third place in the field.